This book is a clarion call to artists, writers, and scientists to explore their willingness to wonder and drive to discover. Inspired by a quote from Ray Bradbury, "Explode Every Day" is a bold new exhibition harnessing the energy of wonder. This book features works touching on certain facets of wonder, including themes of the perceptual/visionary, technological/scientific, and time/cosmos. 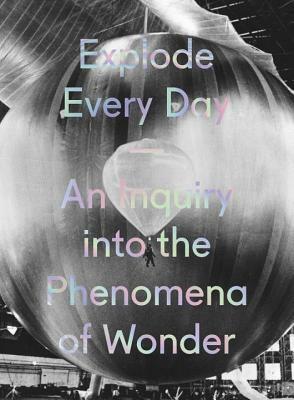 In compelling essays on the history of wonder and its intersection with myriad disciplines, including psychology, literature, and science, today’s great minds consider the many avenues for this phenomena. Interviews with the exhibition’s artists provide insight into individual processes of creativity and innovation. The result is an awe-inspiring exploration of the richness of wonder: from the every day to the ineffable.